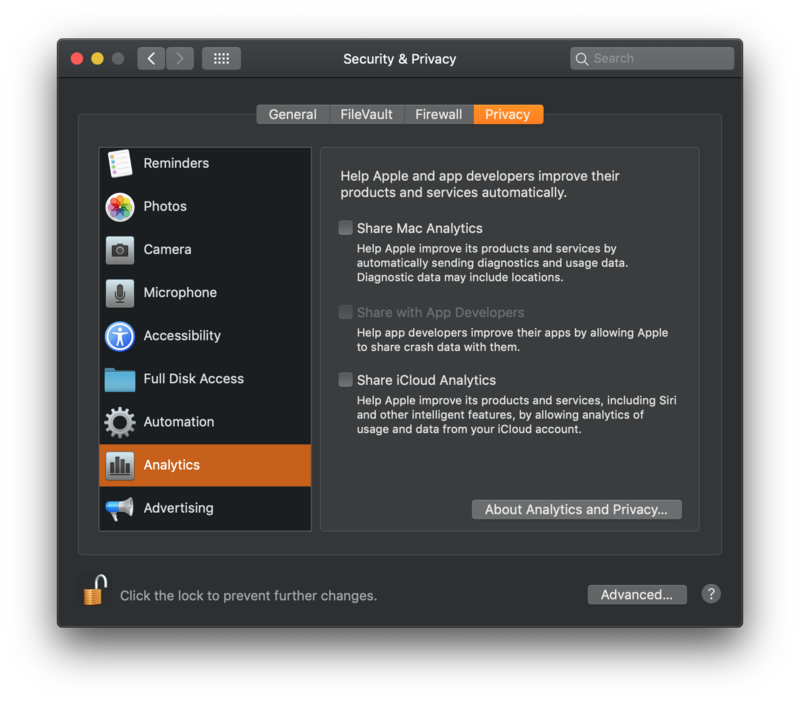 Mojave install froze on “analytics”, successful force reboot- but did it miss anything? 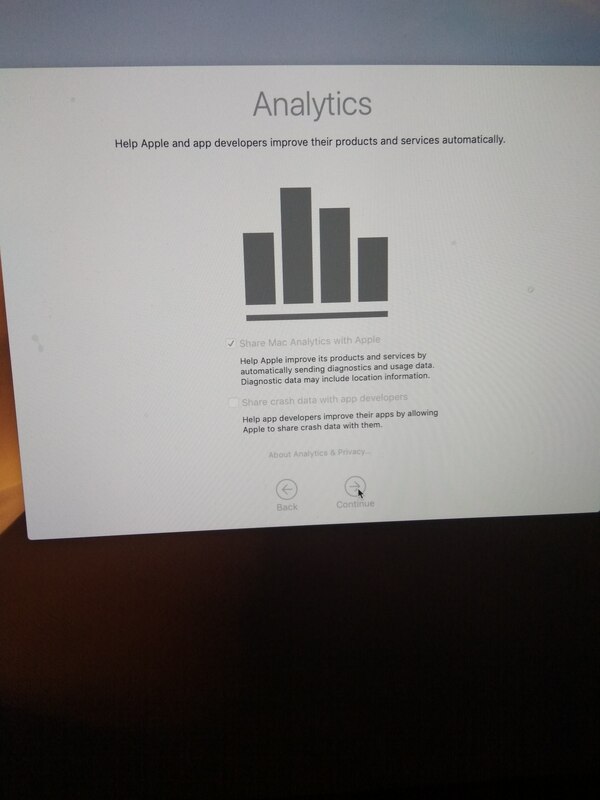 When I was installing Mojave, the installer went up to the analytics page on which I disabled everything. Upon proceeding, the installer froze on the analytics page. I waited five minutes and force rebooted, coming back to find that Mojave seemingly installed successfully, given that it let me log in to my account and desktop. Did I miss any options when I did this? As for the part about what you are missing from the installation process when it is displaying "Setting up your Mac..." I would guess its stuff like iCloud and similar stuff which you should be able to verify also from the System Settings. Next screen is ‘Choose your Look’ where you can choose between light or dark mode. After that it’s just a screen saying it’s finishing setting up the Mac. I encountered the same issue. Force restarting the Mac resolved it in my case. Not the answer you're looking for? Browse other questions tagged macos install upgrade mojave . Get out of OS upgrade installer on restart?